The song is credited to the Gilly Stillwater, a.k.a. Mrs. Billy Gibbons. "That was a gift," Billy tells Billboard. "We had gotten maybe five (songs) recorded, and my lovely sweetheart Gilligan was scribbling away on the couch. I was, 'Omigod, she's reading the Chanel catalog. Hide the credit card!' Then she took a break and the engineers kinda glanced over the scribbling and said, 'Hey man, this looks pretty good. This could be nice and bluesy if we put something to it,' which we did. 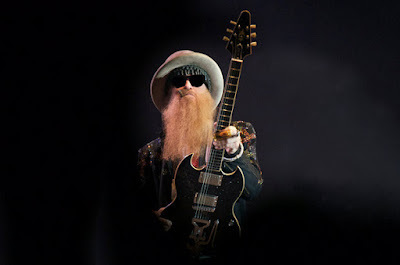 The ZZ Top guitarist recorded “The Big Bad Blues” with an assortment of players, including guitarist Austin Hanks, bassist Joe Hardy, keyboardist Mike Flanigin, harmonica master James Harman, and drummers Greg Morrow and Matt Sorum.